Biting social comment. Tony and Cherie are hosting an agreeable dinner party for some smart friends who've just been made members of the House of Lords, when there's a knock at the door. Bless me, it turns out to be that nice Inspector Yates from Scotland Yard and he wants to ask a few questions. CH verdict: Rather old-fashioned drama. Isn't this sort of thing supposed to have died out in the 18th Century? It's been a terrible couple of weeks for Labour but the latest YouGov/ Telegraph poll shows that a Tory poll lead of 3% in the last YouGov poll (for The Sunday Times) has disappeared*. The number thinking that David Cameron is proving to be a good leader of the Tories has shrunk from 46% last month to 38% this. The much better news for the Tories is the declining appeal of Gordon Brown. One year ago Gordon Brown was preferred to Tony Blair as Prime Minister by 40% to 30% of voters. It's now just 31% for Brown over 30% for Blair. A year ago 61% over 19% of voters thought Brown was doing a good job as Chancellor. That's just 49% over 30% today. 50% of voters think that there is a black hole in the nation's finances. * If you are trying to understand why the poll changes in the ConservativeHome graphic are different from the Telegraph graphic it is because ConservativeHome is comparing this YouGov poll for The Telegraph with a more recent YouGov poll for The Sunday Times. The Telegraph is comparing with its own YouGov poll of last month. The Times: "The Tories will today name the rich benefactors who secretly lent the party £20 million as Scotland Yard widened its inquiry into the alleged sale of political honours. David Cameron, the Tory leader, bowed to mounting political pressure and agreed to a demand by the Electoral Commission for complete transparency." The Independent: "Mr Cameron has been desperately trying to persuade the anonymous millionaires who lent the party large sums for the last election campaign led by Michael Howard to allow their names to be released." BBCi: "One lender, who had been told the list would be out on Friday, said the names were all familiar existing and former donors. "None of the names will cause the party the slightest embarrassment," he told BBC News." The Guardian: "According to Tory sources, Mr Cameron is asking many of those who lent cash to convert the money into donations to prevent the party's balance sheet going deep into the red, making it difficult to attract new cash. The last Tory accounts show the party already had significant loans in 2004 and was not paying commercial rates on an average of £6.8m of loans." Search for "Election 2005" from "BBC News" and at the bottom of page 1 of 99 pages of results the link to "Looking back on the first 100 days of Tony Blair's reign as Conservative leader" appears. Priceless. Thank you, James. "Liam Fox could have been designed by a committee of Tory modernisers. He was brought up in a council house, educated in a comprehensive and worked as a hospital doctor in the deprived East End of Glasgow. He has met Mother Theresa, still buys pop music and has long campaigned for the unfashionable cause of mental health provision. His wife is a lung cancer specialist and charity worker. But he fails the soft-focus New Tory test on one crucial point: his politics are unashamedly, defiantly Thatcherite." So begins Fraser Nelson's Spectator interview with Shadow Defence Secretary Liam Fox. Trident: “With regimes like Iran trying to become nuclear powers it seems to be ludicrous for Britain to lose our nuclear deterrent. The onus is on the abolitionists to tell us how they can guarantee we will not face a threat in the next quarter-century that would require us to deter it, if necessary, with the threat of nuclear arms”. A dangerous world: Fox’s world view is bleak: Russia has quadrupled its defence budget “and while that is not a direct threat to us, regimes can change.” He believes recent British deployment to the bandit-ridden Helmand province of Afghanistan is too small. “We’re sending 1,300 combat troops for a country twice the size of Wales” he says. The Tory critique is nuanced: do it properly, or don’t do it at all. This is an issue where the normal Labour-Tory support over military action may founder. "Once the formal speeches are over, the hosts physically greet their guests by pressing noses with them. In the hongi (traditional greeting), the ha or breath of life is exchanged and intermingled. Through the exchange of this physical greeting, you are no longer considered manuhiri (visitor) but rather tangata whenua, one of the people of the land." Tony Blair is pictured greeting a nurse - Mere Selwyn - at an Auckland school. The March survey of the ConservativeHome Members' Panel is now live. In addition to the regular tracking questions we ask you about your ideal manifesto commitments. "The Lords accepted an offer from the Home Office that anyone applying for a new biometric passport before January 2010 could opt out of having an ID card... Until yesterday peers had strongly opposed the ID Cards Bill on the basis that Labour's manifesto had said the scheme would initially be voluntary. They argued that requiring new passport holders to apply for ID cards amounted to "compulsion by stealth", a claim rejected by the Government." The Tories have vowed to make ID cards an issue at the next General Election. "No one who does not want to have an ID card before the next election will have to have one," said Shadow Home Secretary David Davis. Labour thinks that most voters - particularly in its heartlands - will favour its position on ID cards and its positioning will reinforce its anti-fraud credentials. The Tories believe that middle England will resist the civil liberty implications of ID cards and will believe that the money spent on the scheme would be better invested in better border security and more neighbourhood policing. "Anybody who thinks this is compromise has not understood the Bill. The problem has always been the database, not the card. Millions are already vehemently opposed - the Home Office will have to round them up and force them to be fingerprinted, which will bring home to the public the true nature of the scheme. This is a self-destructive policy to dwarf the poll tax." Are Cameron's Conservatives now opposed to privatisation? "Government plan to privatise Sellafield ‘neither wise nor honest’." "Making this statement on the day the House rises for Easter is typical of Labour's sneaky practices. 'This announcement is being made in the middle of the Government's Energy Review, in which the crucial question of how the nuclear sector might work with Government is being examined. Making this announcement now is neither wise nor honest. 'Gordon Brown did not mention the disposal of British Nuclear Group in the budget statement last week. To dump fifty years of dubious waste onto the private sector with none of the guarantees that only Government can offer needs serious public debate before they should think of going ahead." Alan Duncan's charge of sneakiness is spot on. Labour probably wanted to avoid criticism from those anti-capitalists who think that the private sector can't be trusted with sensitive assets like prisons and nuclear power. It's a bit rich, however, when those sentiments are being expressed by the party that gave privatisation to the world. Derek Tipp's final question refers to local candidates. Whereas only a third of December's ConservativeHome.com respondents favoured a 50/50 A-list of candidates - as prioritised by David Cameron, 71% supported more local candidates in the most marginal seats. Would you support the right of all constituencies to be able, if they wish, to consider a local candidate for selection as their PPC, provided that candidate was approved by the Candidates Committee? Did you vote for or against the proposal to allow MP’s alone to select the Party Leader in the ballot of Constitutional College members in September 2005? Cllr Derek Tipp's fourth question refers to the controversial Priority List for Conservative candidates. Only 37% of Tory members belonging to ConservativeHome's monthly survey of party opinion agree with this central initiative of David Cameron - designed to radically increase the number of women MPs. Do you agree with the current policy of creating a “Priority List” of candidates consisting of 50% male and 50% female candidates for selection to target seats? Labour's pre-election council tax bribe for pensioners: William Hague asked John Prescott about whether he lobbied Gordon Brown to retain the £200 council tax discount for pensioners. What was so special about last year, asked Mr Hague, that pensioners deserved a £200 discount for one year only. Was it because it was an election year? It was an unanswerable question. Quoting the outrage of pensioner groups like Age Concern Mr Hague said that such behaviour by Labour was a principal reason for the cynicism towards politics. Editor: "It has to be the most brazen of bribes and was, of course, Mr Brown's work. Shame on the man who falsely presents himself as the straight man of Labour." John Prescott welcoming William Hague back to the Tory leadership team: The Tories are now so green that they're recycling their leaders! William Hague: There was so little English in that answer from the Deputy Prime Minister that President Chirac would have approved of it. The stand-in LibDem leader - David Heath - also raised the issue of fairness for pensions. 12.30pm update: In William Hague's second round of questions there was lots of entertainment but not much enlightenment. WH asked about when the PM might go? Was the smouldering Gordon Brown the real PM whilst Tony Blair was in a departure lounge of a faraway airport? During the course of questions Mr Hague reminded Mr Prescott about his famous punch in the 2001 General Election. Mr Prescott said that the Tories were supposed to have abandoned Punch & Judy... If he was Punch, where did that leave Mr Hague?! Are you in favour of parliamentary candidates being selected by either “open primaries”, or by selection panels which include people from outside the membership of the Party? If so do you believe those methods should be compulsory for all selections, or simply a voluntary choice for constituencies? Throughout today - every ninety minutes - ConservativeHome will be posting the answers that the five candidates for the Party Board gave to six questions posed by New Forest Councillor, Derek Tipp. I'm very grateful to Derek for taking this initiative and for suggesting that ConservativeHome publish the answers he received. Derek is an ex-teacher and company director. 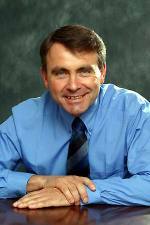 He first joined the New Forest East constituency in 1998, became a district councillor in 1999, gaining the seat from the Lib Dems. He became a Branch chairman in 2000, and then an Association Officer. He has been Association chairman since 2003, and is now doing his fourth and final year. Would you support the compulsory merging of constituencies into larger groupings under any circumstances, if so what are they? "Anyone who has been involved in the selling of peerages should be shaking in their shoes." Today's Guardian reports that "Scotland Yard will broaden its "loans for peerages" investigation to cover the Conservative party as well as Labour". 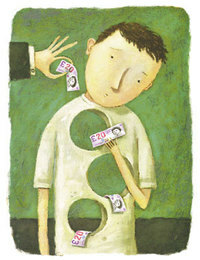 Mr Cameron has proposed sweeping reforms of political funding arrangements. He has inherited nearly all of the hidden loan obligations from before he was leader although his tenure has been tarnished by a £100,000 connection with the wife of a Saudi arms dealer. "The police are interested in crime. They are not interested in which party committed it ... After meeting people at Scotland Yard I would say anyone who has been involved in the selling of peerages should be shaking in their shoes." "Scotland Yard has refused to say which figures the detectives intend to interview as the inquiry unfolds, but it will not rule out speaking to Tony Blair. Westminster sources believe they will almost certainly speak to Lord Levy, the prime minister's chief fundraiser, and key players, such as the party chairman, Ian McCartney." Caspar Weinberger - a great warrior friend of Britain during the Falkands and Cold Wars - has died. 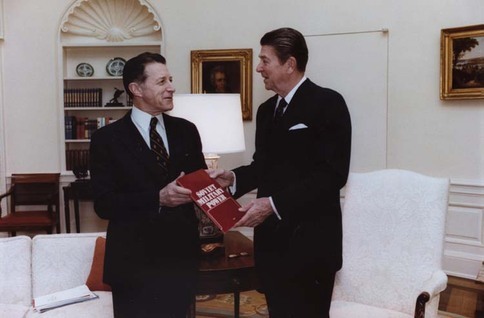 Times Online: "Caspar Weinberger, the former US Defence Secretary awarded an honourary knighthood by Margaret Thatcher for persuading Ronald Reagan to support the Falklands conflict, died [today] aged 88. His wife of 63 years, Jane, was at his bedside." BBCi: "He joined the Reagan administration in 1981... Mr Weinberger shared with President Reagan a conviction that the Soviet Union was the biggest threat to the US and he oversaw the biggest peacetime increase in defence spending in US history... During his time in office, Mr Weinberger persuaded Congress to fund the so-called "Star Wars" programme - a system for defending the US against incoming missiles from space and by land... Mr Weinberger was also an ally of the former UK Prime Minister, Margaret Thatcher, promising her US support during the Falklands War with Argentina in 1982." Friday sees the beginning of ConservativeHome's weekly Q&A with a leading pundit, thought-leader or Tory politician. We kick off with Ann Widdecombe's answers to ten questions you raised at the beginning of the month. 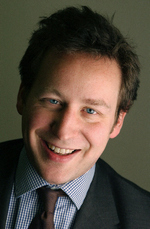 The second interviewee will be Ed Vaizey MP. Ed was previously chief speechwiter to Michael Howard and wrote a regular column for The Guardian. He became MP for Wantage and Didcot last year and was an early and enthusiastic supporter of David Cameron's leadership bid. If you have a question for Ed please use the comments option below or email a question to [email protected]. “David Cameron’s wise decision to leave the EPP would not only provide Conservatives with more resources, independent control over their finances, a seat at the Conference of Presidents and a seat in the front row of Parliament, it will also enable Conservatives better to represent British beliefs and protect British interests." Senior Tory figures such as Ken Clarke, Chris Patten and Lord Heseltine have joined the calls from European leaders and Europhile MEPs like Caroline Jackson for Mr Cameron to abandon his EPP pledge. Mrs Jackson - wife of defector Robert Jackson - has called on William Hague to abandon his "pointless rummaging in the margins of European politics" for new coalition partners for Tory MEPs. John Hayes MP, Cornerstone chairman, has issued a statement saying that David Cameron would have the full backing of the group if he moved soon to leave the EPP. An impeccable source close to David Cameron has assured ConservativeHome that he will deliver on his EPP pledge but the timing remains unclear. Mrs Jackson and one or two other MEPs are not expected to leave the EPP when Mr Cameron forms a new grouping, however. Mr Goodwill's pamphlet will soon be posted in full on the Cornerstone website. In the meantime a summary pdf can be accessed here. Cornerstone's previous paper - by Julian Brazier on higher education - is reviewed here. "The only good thing that is going to come out of the cash for peerages scandal is that state funding of parties and House of Lords reform are going to go rocketing up the agenda again." - Ken Clarke, Chairman of the Conservative Party's Democracy Taskforce. The possibility of state funding of political parties and Lords reform certainly seem to be Downing Street's two main responses to the loans-for-peerages row. 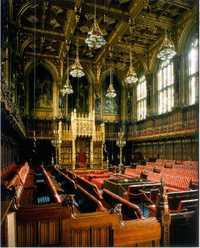 Labour's Lord Falconer held private talks last week with his Tory and LibDem opposite numbers to discuss the future composition of the Lords and its powers and competencies. Labour - currently involved in a major stand-off with the Upper House on ID cards - wants to reduce peers' delaying powers to sixty days and wants to prevent any manifesto commitment from being blocked at all. Tony Blair is now said to be more open to an elected house if the powers of the Lords are reduced. This is a somewhat contradictory position - if the Upper House became elected it would probably appear more legitimate to voters and would consequently deserve more powers. David Cameron is said to favour at least 50% of the Lords being elected. The LibDems favour a "predominantly elected" Upper House and elected, of course, by proportional representation. Iain Duncan Smith, in stark contrast, favours electoral districts based on historical counties. Just as in the US Senate where California and South Dakota have the same number of Senators he believes that rural counties like Cumbria should have the same number of peers as heavily populated counties like Kent and Surrey. This, he believes, would give rural Britain and regions beyond SE England more of a say in how Britain is governed. The Telegraph is suspicious of enthusiasm for any kind of elected Lords. It hopes that the Commons' backbenchers will "resist the creation of a further salaried political class, and the threat this would inevitably pose to the supremacy of the Commons and to the stability of our constitution". There has been almost universal opposition to state funding of political parties from visitors to this blog. Some object to any state funding in principle and must, therefore, object to the current funding of the policy work of political parties through Short Money (worth c£4m pa to the Conservatives). I have no 'in principle' objection to state funding if it can be leveraged to overcome the present gap between the rulers and the ruled. The current Tory proposal - devised by Andrew Tyrie MP - to allocate state funding on the basis of the votes received at a previous General Election will do nothing to encourage a reconnection with voters. It will be a powerful reinforcement of incumbency and, as argued by William Rees-Mogg in today's Times, it will increase the power of the centralised bureaucracy of political parties and reduce the influence of members. State subsidy of this sort, as Fraser Nelson suggested in yesterday's The Business, could only "reward parties' failure to connect with the public". But state funding could be used to reward reconnection with the public. A political party could receive state funding in proportion to its success in raising money from small donors. Dependence on big money or Tyrie-style state funding both serve to isolate political leaders from the general voting population. If political parties have to fund themselves from diverse sources this will encourage them to listen more attentively to what the public wants and come up with policies that appeal beyond the Westminster village. David Cameron's appropach to climate change could, for example, become more of a campaign than a policy. It would have a lively, interactive website where visitors would develop the policy and would suggest and fund ways of making more people buy into it. This form of fundraising would also produce better value for money campaigning. It is unlikely that grassroots campaigns will tolerate their money being spent on expensive billboard ads. If Britain went down this road the political parties would evolve into broad coalitions made up of campaigning groups. It is, of course, possible to go down this road towards grassroots and netroots funding without that funding being topped up by taxpayer pounds. But we must be practical and it may take some time for a more democratic funding base to develop. State funding could, for a transitory phase at minimum, be used until this funding base is broad enough to meet all of a political party's financial needs. Politicians are usually photographed in a setting that depicts a sense of authority. This is often achieved by the camera being at their eye level or even lower than the sitter. However, Cameron's portrait was shot from above. This makes him look more approachable and appear a 'man of the people'." For more on Jane Bown, click here.